Over the past couple of years, I have participated in the Gospel Life blog hosted by the Billy Graham Center for Evangelism at Wheaton College. In my most recent post, I reflected on the intrinsic value of unity for the gospel mission of God’s people. For those who are a part of the Eastbrook Church, you will not be surprised to see some reflections on Revelation 7:9-10 work into my writing here. I firmly believe that the unity of people from every tribe, tongue and nation is both a reflection of God’s mission and an aim of God’s mission. Without this unifying power of the gospel, our mission itself loses power and becomes less effective. This is a picture of the end of all things, where people from around the world and every echelon of society come together around God’s throne through the saving work of Jesus Christ. As God’s people, both individually and corporately, that is the aim we must have. We should, in a sense, become a snapshot of that multiethnic Revelation 7 community here on earth. We should seek to become a 7. 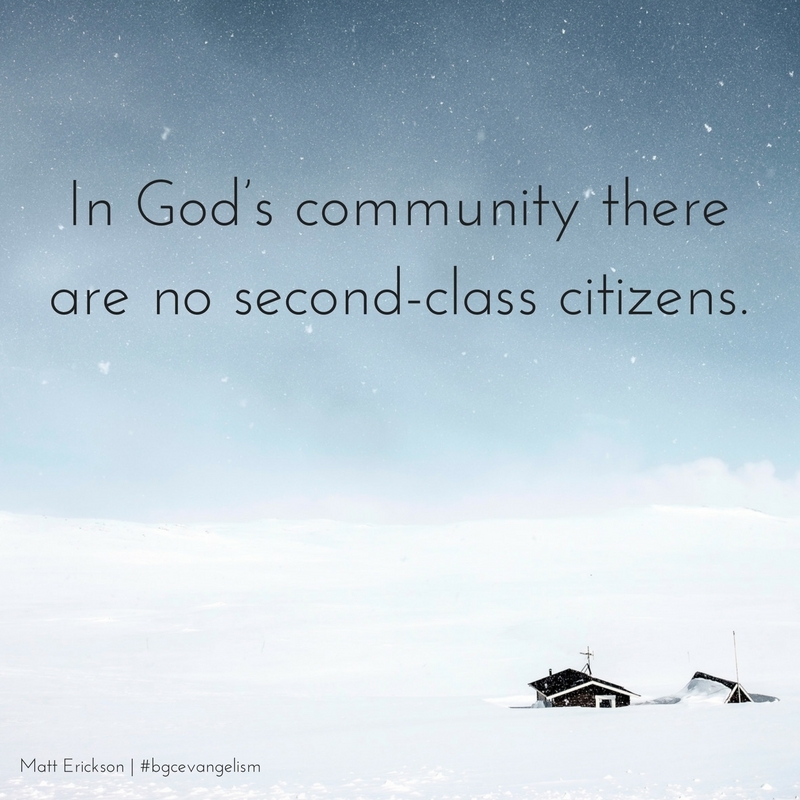 But what does it mean to become a 7 as the Christian community here on earth? If Revelation 7:9-10 is a heavenly vision, then we will likely not attain it fully on earth. However, we should pursue it as if that is the end toward which we are growing. We must be intentional about this because we will arrive at an end goal one way or another. We are either intentionally moving toward something, or unintentionally sliding toward something else. I would rather intentionally pursue becoming the heavenly vision of God. Let me suggest three aspects of the vision of Revelation 7:0-10 that are essential for God’s unified community to live our mission and identity.